One of the distinctive features of poetry is that it is meant to be read aloud. How poetry sounds matters, and even more, it’s fun to say! It has a music of its own. 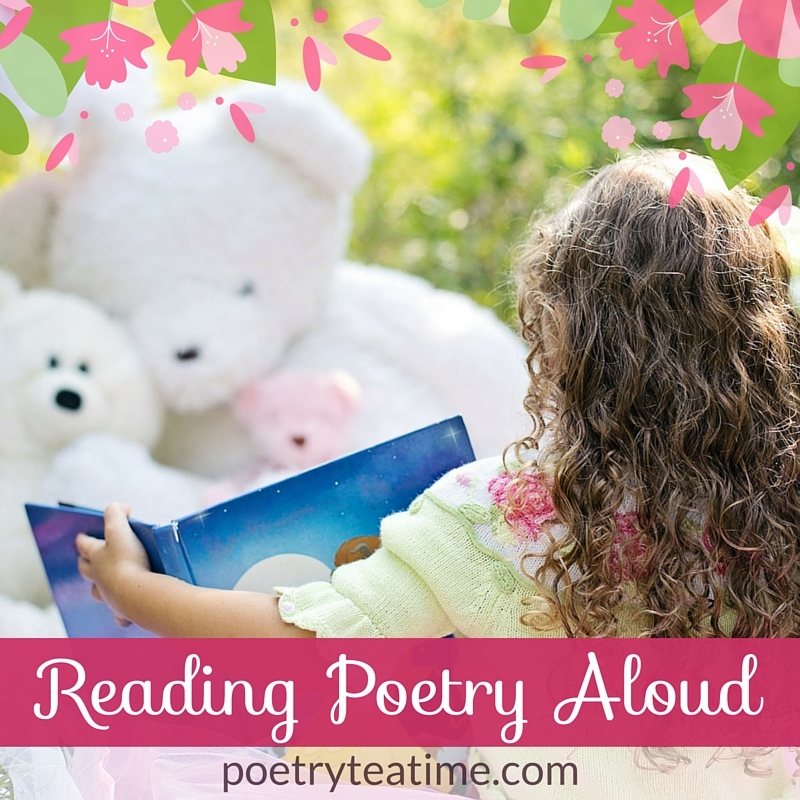 This music in poetry makes reading it aloud during poetry teatime even more special. Here are some suggestions for reading poetry aloud. Use a relaxed, conversational voice. You may be tempted to try a “poetry voice” that’s serious and formal, but most poems are meant to be read like a natural conversation. So use your own speech patterns, rather than a more stiff and formal voice. Just like when you talk, vary your voice and avoid monotone. Not every word needs a “punch”—save the emphasis for a few of the most important words. Follow the punctuation, not the line breaks. Don’t pause at the end of a line unless there is a punctuation mark there. Read with emotion, but don’t overdo it. Feel fully the emotions that the poem evokes but also leave room for the words to speak for themselves. Let the words do most of the work. Notice the sound-tricks poets use. Look out for repetition, onomatopoeia, alliteration, internal rhyme, or unusual rhythms. These sounds often give clues as to the poem’s meaning or the parts that the poet considers important. Above all, pay attention to the sounds and music. Relish the ways that poetry can play with the patterns of language. 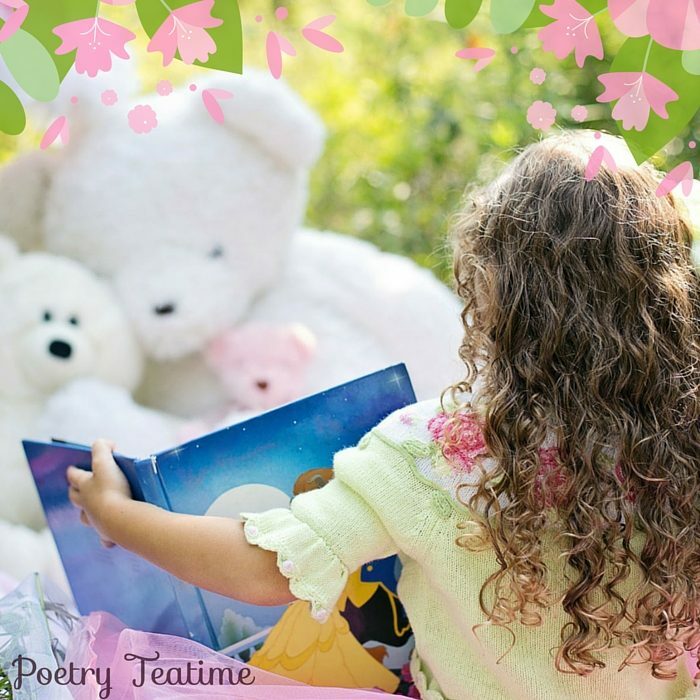 check out our Exploring Poetry with Children guide.